One of the health problems that have risen its head in the past decade is – Posture Issues. As we get used to the more sedentary lifestyle and get more and more addicted to our smartphones, we also end up hurting the way we maintain our posture. And we don’t realize the issue until the problem has gotten bad already. And if you’re thinking – I go for morning/evening walks or I go to the gym, you can still be plagued by posture issues. One of the most common examples of it is the back or neck pain that people experience when they sit for a long time working on computers/laptops. These pains are a result of the wrong posture of sitting on a chair. This can be due to slouching when sitting, or sitting cross-legged for a long time or keeping a gap between your lower back and chair backrest. Another common posture issue I see is the way people stand. Instead of being upright, a lot of people slouch and stand with their shoulder dropping and their back curved. The worst part is that we often don’t realize that we need to correct our posture. One of the ways we can improve our posture is by using posture correctors. Posture correctors help us remain upright and over a longer period, also help regain the correct posture. I have been worried about my wrong posture and was looking for posture correctors in India. That also gave me the idea to write a review about posture correctors that you can buy online in India. There are no big names in this industry. You won’t find sportswear giants (Nike/Adidas/Puma) or fitness equipment giants (such as Powermax) making these. Most of the posture correctors available in India are made by small companies. So don’t worry if you hear some names you haven’t heard before. Most of the posture correctors in India can be used by both men and women. In case it’s not the case, I will call it out. So let’s dive in and learn about the best posture correctors in India. Still confused about which posture corrector is best for you? Let me help by providing detailed reviews on the best posture corrector that I found in the market (and the ones you can buy online). These reviews will definitely help you gain awareness and understanding of the best features, pros, and cons of each posture corrector. Below is the table that shows all the posture corrector covered in this review. Now let’s have a look at the detailed reviews of each of the posture corrector covered in this article. Flexguard posture corrector is the most expensive one on our list. And the price is justified by its high-quality build and the comfort of using it. It comes with a great ergonomic design with cushioned straps and waistband. This posture corrector is super adjustable so if you have a tiny waist or a bigger one, it can easily adjust to it. 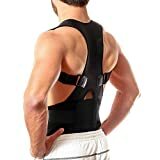 Most of the people who have bought this from Amazon have reported this as comfortable and highly effective in relieving any existing back-pain. 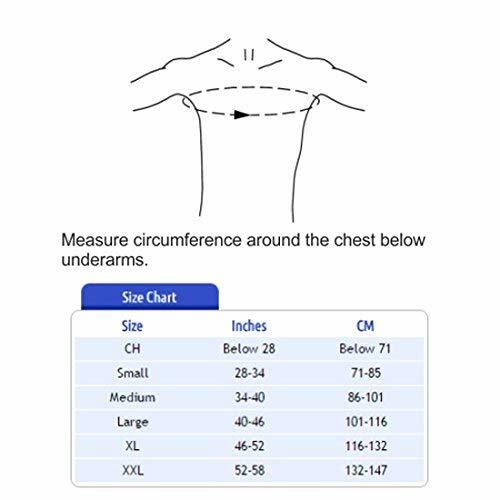 There are different sizes available for this and you can select the right one based on the chest size. You can wear this under your clothes and it will not be visible. 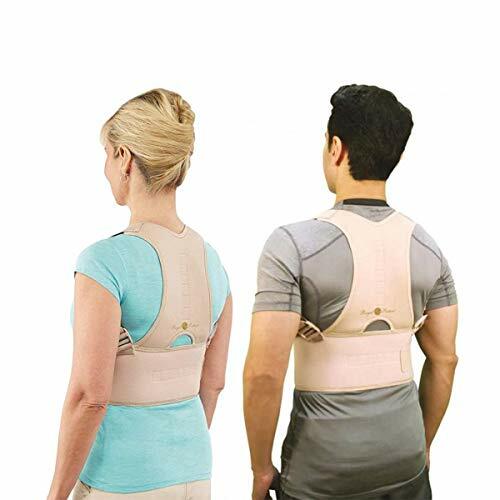 This is one of the best selling posture correctors in India for men and women. 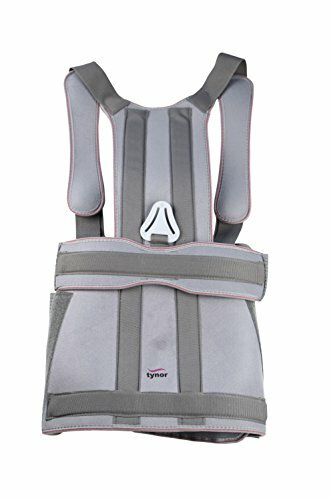 It comes it a sub-2000 INR price range and is also Amazon’s choice in the Posture corrector category. This has been created for people who are facing back injuries or need postoperative posture correction and support. You can also use it regularly to get your posture in shape. It’s comfortable and has adjustable straps that ensure you get the best fit. While it has a sleek design, it’s not idle to wear below clothes. It made to worn outside clothes. This makes it a less suitable choice if you plan to wear it and go to work. However, it’s an excellent product if you want to wear it at home. 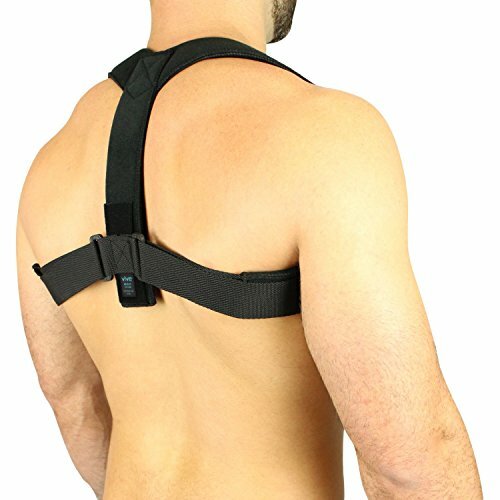 This posture corrector is made to ensure that your shoulder and back are in the right position. It improves poor, stooped, forward head and neck alignment, and if you stoop your shoulders a bit, it acts as a reminder to get it back in shape. People who have bought this have reported this to be efficient in correcting body posture. It’s made of high-quality material and is comfortable to use. 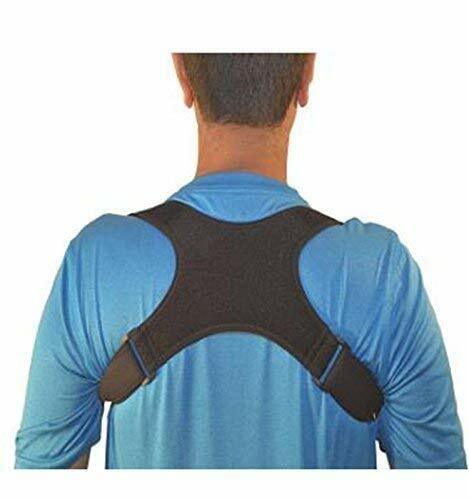 If you’re looking for something that you can wear below your formal shirts in office, this posture corrector is a great choice. It’s a bit high when you wear it and may not be invisible unless you’re wearing a high neck T-shirt or Polo T-shirt. Also, it uses a velcro and you need to get it right, else it may irritate your skin. RAFA Posture Corrector is great for anyone who looks for relief from back, shoulder or neck pain. It has an intelligent design that helps in raising your posture to allow more oxygen into your body, raise energy levels and supports blood circulation. This posture corrector helps to pull your shoulders back while keeping your core effectively engaged, this, in turn, trains your muscles and spine to return to their natural alignment. It can be used by men, women as well as kids. It’s lightweight and comfortable which makes it easy to use for long hours (you can wear it on weekdays when you go to the office). It has a sleek design and can be worn under or over the clothes. It’s made of super soft-padded neoprene – which is sweat and odor-resistant. It has fully adjustable straps that help you get the best fit. This posture corrector is made from a breathable neoprene-nylon-cotton blend, which is comfortable to wear and sleek in design. You can wear it under your clothes and it will be undetectable. You can hand wash this easily. It is completely customizable with velcro closures and adjustable buckle. People who have purchased this product have reported this to be easy to wear, comfortable and effective in correcting the posture. Tynor Clavicle posture corrector can be used by both men and women. It’s made to ensure that there are no underarm rashes or buckle biting (which a lot of people have reported in some of the posture correctors in India). It has soft foam padding with wide flexibility in positioning, better tightening, and better grip. You can wear it under and over clothes. If you work long hours in front of a computer and feel your posture needs correction, you can consider using this. Below are some of the common questions people have before buying a posture corrector in India. Q: How many hours should one wear a Posture Corrector? A: If you’re just starting out, start with 2-4 hours in a day. Once you get used to it, you can increase the duration. Q: What all to keep in mind when buying a posture corrector in India? Make sure to check whether the posture corrector can be worn under clothes or not. The ones that can be are made of soft material and are sleek in design. Check the size before buying. 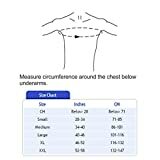 The size is often checked based on the waist or the chest size. Make sure it’s easy to wear. Some posture correctors would need you to take someone else’s help you wear it. Q: Should I consult a doctor before buying one? A: You should consult a doctor if you have any pre-existing condition or have had any surgery. For someone who wants to work on improving their posture, without any existing complications, physician consultation is not mandatory. In case you’re unsure, it’s better to consult. Best Motorized Treadmill for Home Use in India.